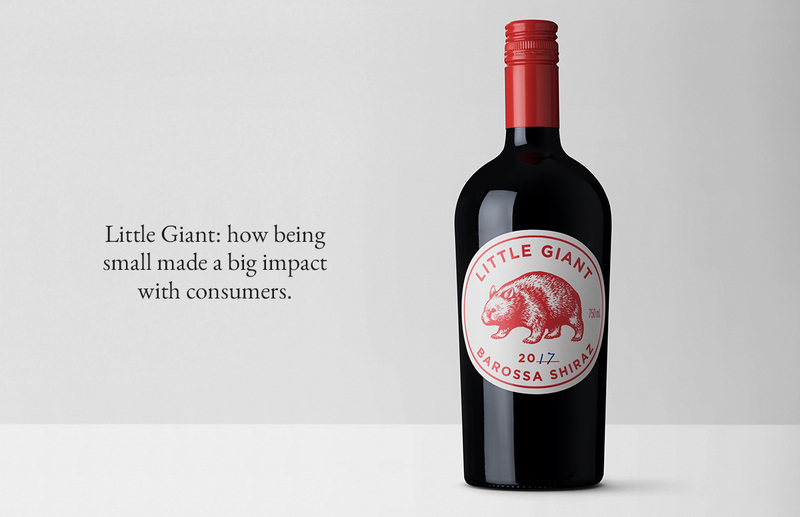 Little Giant: how being small made a big impact with consumers. Shiraz vines were amongst the earliest bought to Australia and is the iconic grape of the Barossa region of South Australia. 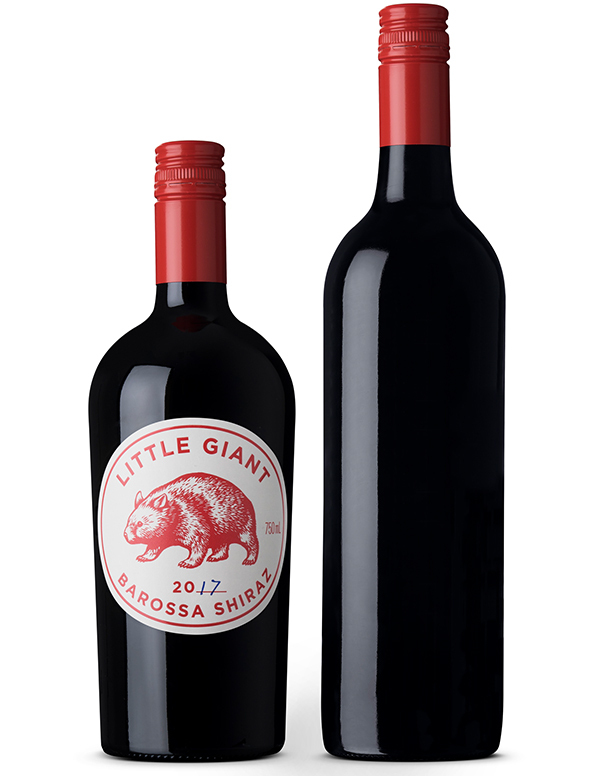 Our client wanted to launch a Barossa shiraz that would cut through in the crowded Barossa market. 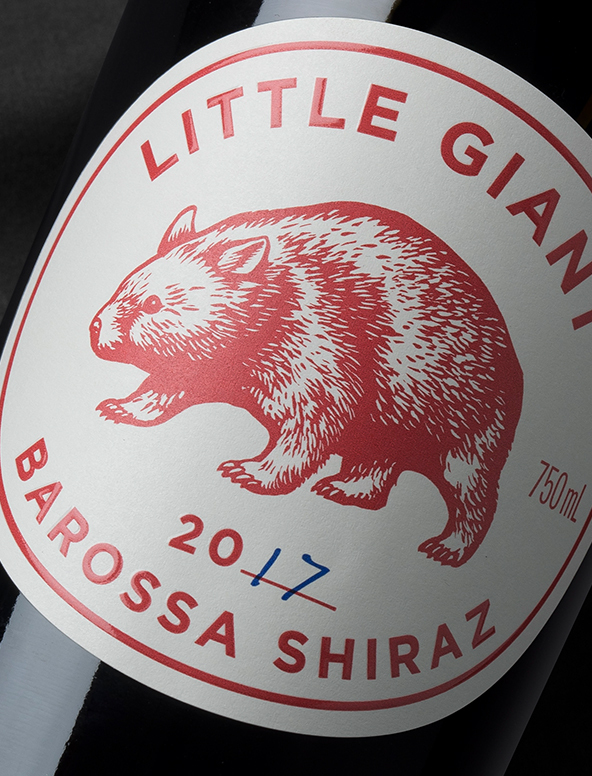 We found a remarkable similarity between the shiraz grape and the wombat: both were small and powerful with a very thick skin – and both were icons of South Australia. 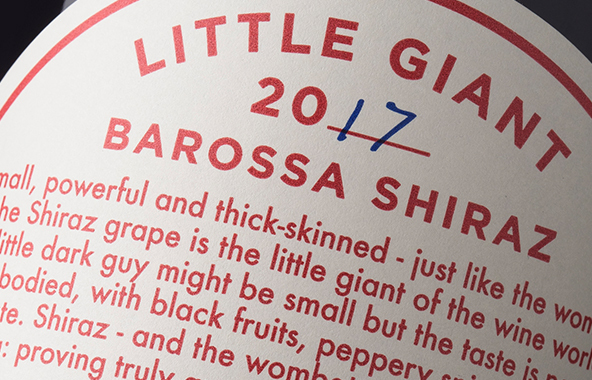 We felt the shiraz grape was the “little giant” of the wine world: its small fruit making the powerful, full-bodied wines that has made Barossa famous. 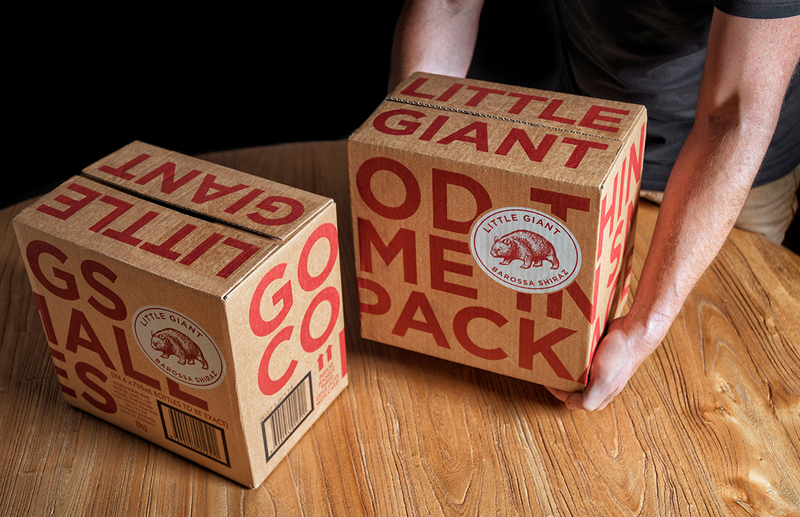 The bottle for Little Giant not only disrupts the category with its strong shelf presence, but also reinforces the brand’s messaging of small yet powerful. 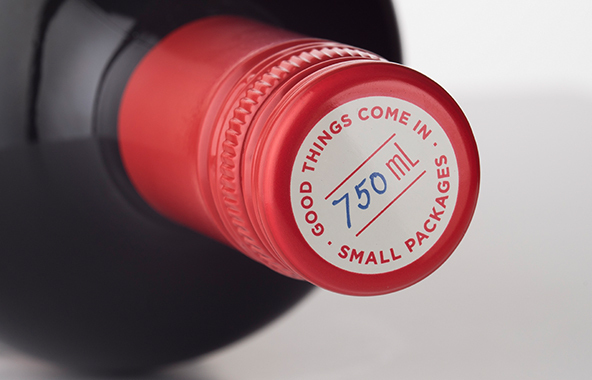 Every element of the packaging was used to tell the brand story. Nicholas Crampton, Managing Director, Fourth Wave Wines.